☆☆☆☆ “In the bleak, noirish 1965 Los Angeles of TNT’s I Am the Night, the blonde and effervescent Chris Pine doesn’t seem like he’d fit in. But putting the square jaw of Pine against the seedy, sexually degenerate and violent backdrop of Night is a winning strategy for creator Sam Sheridan and executive producer Patty Jenkins … Pine delivers one of his best performances as a dark, dangerous character.” — USA Today. ☆☆☆☆ “It’s an elusive tale, a heart-on-the-sleeve biopic shapeshifting into paranoid true-crime noir, set against an ambitious panorama of mid-century racial unrest, California mysticism, postwar PTSD, and the social blight of performance art. The central mystery’s quite creaky, somehow obvious and incoherent. But the show looks great.” — Entertainment Weekly. ☆☆☆☆ “I Am the Night is based on truth but does stretch it to create so many compelling twists and turns that even six episodes feels like barely enough time to explore them all … But every once in a while, I Am the Night clicks into a propulsive and exciting gear. It’s hard to argue the merits of a slick thriller starring a talent such as Pine, even when it gets carried away.” — Variety. 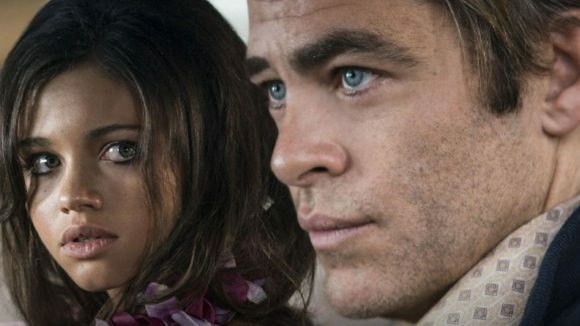 ☆☆☆☆ “It boasts a terrific lead performance from Chris Pine — in a Wonder Woman reunion with Patty Jenkins, who directs the first two episodes, and Connie Nielsen, who plays a supporting role — but the story’s much too slow to get going and doesn’t deliver enough payoff to merit the wait.” — Rolling Stone. ☆☆☆☆ “True story or not, I Am the Night too often resembles an oversimplified version of the 1974 classic Chinatown, another California noir about abuse of power that parallels family dysfunction with its institutional equivalent. I’ve never been great at predicting plot twists, but I saw many coming a few episodes away.” — Time.